What is a stress myocardial perfusion scan? A stress myocardial perfusion scan assesses blood flow to the heart muscle when it is stressed. The heart is usually “stressed” from exercise. But, if you are unable to exercise, the heart can be stressed by taking a certain medicine that increases your heart rate or dilate blood vessels as would occur during exercise. After the radioactive tracer is injected, a special type of camera is used that can detect the radioactive energy from outside the body. The camera takes images of the heart during stress and again later at rest. The two sets of images are compared. Why might I need a stress myocardial perfusion scan? 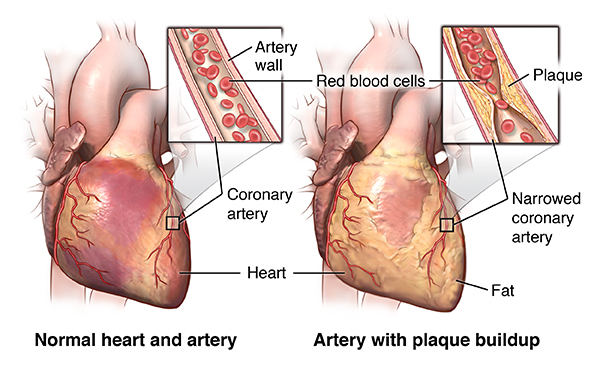 To assess blood flow to areas of the heart muscle after coronary artery bypass surgery, angioplasty, or stent placement. There may be other reasons for your healthcare provider to recommend a stress myocardial perfusion scan. What are the risks of a stress myocardial perfusion scan? The exercise part of the test may lead to rare instances of abnormal heart rhythms, chest pain, or heart attack due to the stress on the heart caused by the exercise. The needle used to put in the IV may cause some pain. If your heart is stressed using medicine, you may feel anxious, dizzy, nauseous, shaky, or short of breath or chest pain for a brief period. Make a list of questions you have about the procedure. Be sure to discuss these questions with your healthcare provider before the procedure. Bring a family member or friend to the appointment to help you remember your questions and concerns. How do I prepare for a stress myocardial perfusion scan? If you are scheduled for a pharmacologic myocardial perfusion scan, you will need to avoid taking any medications containing theophylline or caffeine. Coffee, even decaffeinated, is not allowed, as it contains some caffeine. Medications for asthma may contain theophylline. If you have asthma, inform your healthcare provider. Theophylline medications should be stopped 48 hours prior to the test. Medications that contain caffeine and all food and drink containing caffeine should be held for 48 hours, too. Tell your healthcare provider if you have a pacemaker or implantable cardioverter defibrillator. For an exercise scan, plan to wear loose, comfortable clothing, as well as comfortable walking shoes. What happens during a stress myocardial perfusion scan? 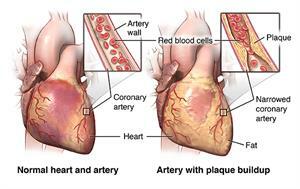 You may have a stress myocardial perfusion scan on an outpatient basis or as part of your stay in a hospital. Procedures may vary depending on your condition and your healthcare providers practice. You will be connected to an electrocardiogram (ECG) machine with leads that stick to your skin and a blood pressure cuff will be placed on your arm. You will exercise on a treadmill. The intensity of the exercise will be gradually increased by increasing the speed of the treadmill. Your heart rate and blood pressure will be monitored. Once you have reached your maximal exercise point (determined by the healthcare provider based on your heart rate and age), the radioactive tracer will be injected into your IV line. After the tracer has been injected, you will continue to exercise for several minutes. You will then be placed into the heart scanner so images can be taken. You will not exercise on a treadmill. Instead, you will lie on the table in the heart scanner while a medicine is injected into your IV. The tracer will be injected into your IV line. If you have any symptoms such as dizziness, chest pain, extreme shortness of breath, or severe fatigue at any point during the procedure, let the healthcare provider or technologist know. You will lie flat on a table while the images of your heart are taken. About 10 to 60 minutes (depending on the type of tracer used) after the tracer is injected, the gamma camera will begin to take pictures of your heart. In this special kind of test called SPECT (single photon emission computed tomography), the scanner rotates around you as it takes pictures. The table slides into the hole of the scanner, which is a large, donut-shaped machine. Your arms will be on a pillow above your head. You will need to lie very still while the images are being taken, as movement can affect the quality of the images. After the scan is completed, you may be allowed to leave the area, but will need to return for a second set of scans. The second set of scans will be taken 3 to 6 hours after the first set. During this time, you will not be allowed to eat or use tobacco and will be allowed limited water or decaffeinated/non-calorie liquids. In some cases, your healthcare provider may decide to have you return on another day for the second set of scans. The second set of scans will be much like the first set, but you will not need to exercise or get the medicine. You will lie on the table as before while the scanner takes pictures of your heart. Once the second set of scans has been completed, the IV line will be removed, and you will be allowed to leave, unless your healthcare provider tells you differently. What happens after a stress myocardial perfusion scan?